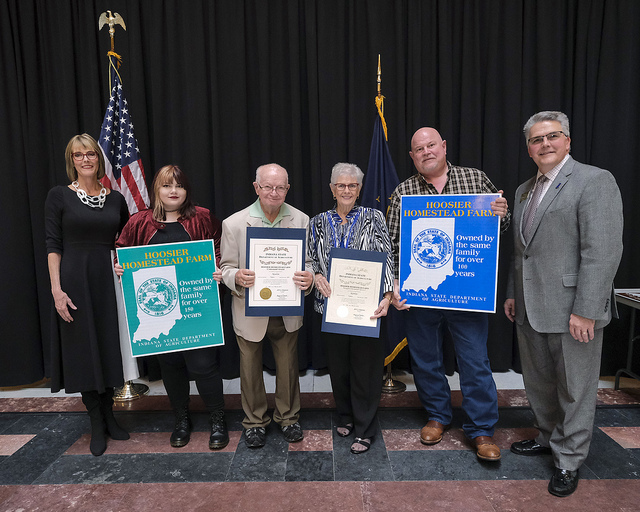 STATEHOUSE (March 25, 2019) – The Newlon Farm was recently recognized at the Statehouse for being in operation for more than 150 years, according to State Sen. Jim Buck (R-Kokomo) and State Rep. Tony Cook (R-Cicero). Located in Tipton and in operation since 1849, the Newlon Farm received the Hoosier Homestead Centennial and Sesquicentennial Awards. 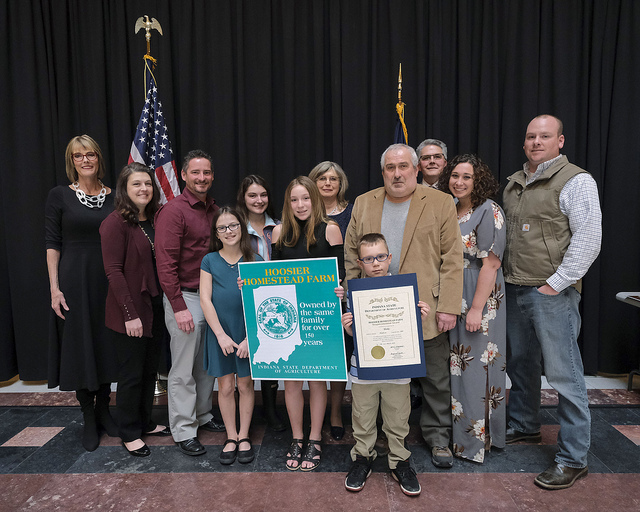 STATEHOUSE (March 25, 2019) – The Blake Farm was recently recognized at the Statehouse for being in operation for more than 150 years, according to State Rep. Tony Cook (R-Cicero) and State Sen. Mike Gaskill (R-Pendleton). Located in Alexandria and in operation since 1866, the Blake Farm received a Hoosier Homestead Sesquicentennial Award. Across the state and within our community, the Salvation Army works with locals to support those in need. From providing food and shelter to helping those suffering from addiction, this organization has taken many steps to help struggling Hoosiers. Because of their commitment to helping those in need, House lawmakers partnered with the Indiana Division of The Salvation Army to raise awareness for childhood hunger and collect backpacks and kid-friendly food items for students. We are just a few weeks away from critical deadlines for bills to receive a hearing, so legislation is moving quickly at the Statehouse. My first bill, House Bill 1056, passed through the Senate unanimously. Currently, county auditors determine someone’s eligibility for real property tax deductions. If a taxpayer is denied, they can appeal the decision, and the notice of appeal is filed with the county or township assessor. This bill streamlines the appeal process of auditor decisions by bypassing the assessor, who is unfamiliar with the case, from the system and sending it straight to the auditor. Due to an amendment in the Senate, the legislation must return to the House to either approve or reject the changes and send the bill to a conference committee to reconcile differences. The game of football is a good analogy for mechanics of our legislative session. The last week of February was “halftime.” Now that we are in the second half of the legislative session, the House is looking at bills that made it through the Senate, while the Senate is working on bills that made it through the House. STATEHOUSE (March 22, 2019) – Legislation sponsored by State Rep. Ben Smaltz (R-Auburn) in an effort to improve office-based opioid treatment centers recently passed unanimously out of the House. 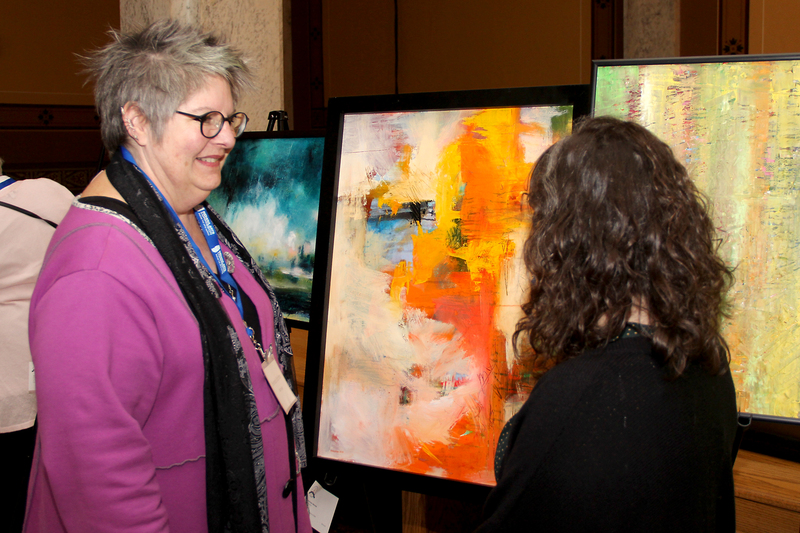 STATEHOUSE (March 22, 2019) – Artwork by local artists will soon be displayed at the Statehouse, according to State Rep. David Wolkins (R-Warsaw). STATEHOUSE (March 22, 2019) – Artwork by a local artists will soon be displayed at the Statehouse, according to State Rep. David Wolkins (R-Warsaw). STATEHOUSE (March 22, 2019) – Local graduates are gaining experience as interns with area lawmakers and their fellow members of the House of Representatives during the 2019 legislative session. According to State Reps. Michael Aylesworth (R-Hebron) and Ed Soliday (R-Valparaiso), interns play an important role throughout the legislative session. STATEHOUSE (March 22, 2019) – State Rep. Heath VanNatter (R-Kokomo) recently welcomed student pages to the Statehouse. 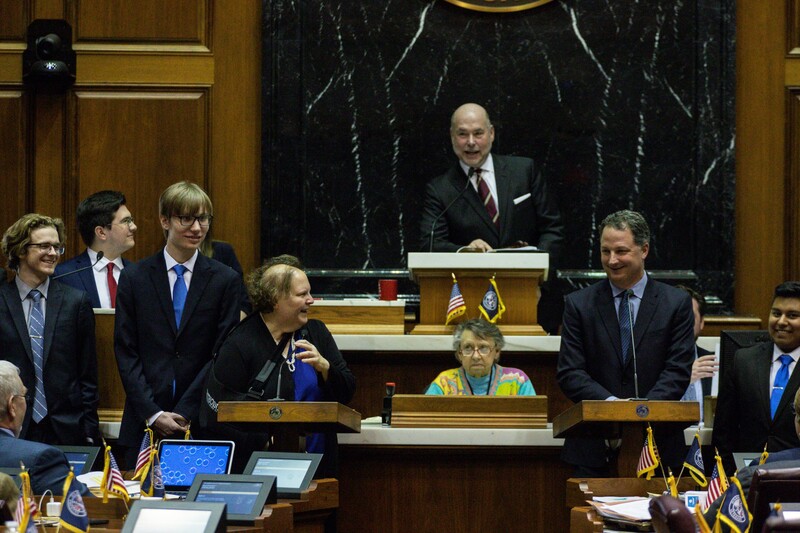 STATEHOUSE (March 21, 2019) – The Indiana Senate passed State Rep. Stephen Bartels’ (R-Eckerty) legislation to increase the maximum operations fund levy for the North Spencer School Corp.
STATEHOUSE (March 21, 2019) – State Rep. Mike Speedy (R-Indianapolis) presented Sagamore of the Wabash awards to two local Hoosiers for their efforts supporting veterans. STATEHOUSE (March 21, 2019) – State Rep. Randy Frye (R-Greensburg) recently welcomed student pages to the Statehouse. STATEHOUSE (March 21, 2019) – State Rep. Todd Huston (R-Fishers) Tuesday at the Statehouse honored local We the People teams with a resolution recognizing their top-place finish in the 2018-2019 state competition. In December, teams from Hamilton Southeastern High School and Fishers Junior High School won the We the People state championship in the high school and middle school competitions, respectively. 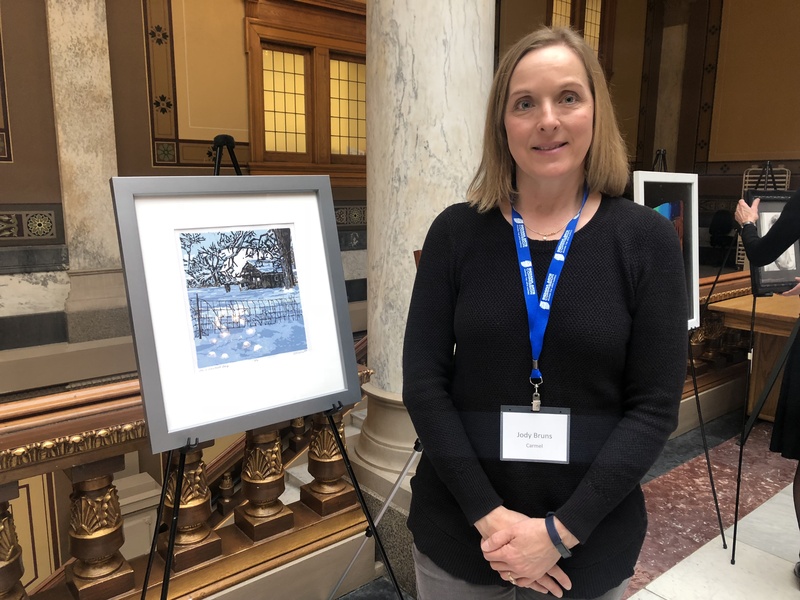 STATEHOUSE (March 21, 2019) – Artwork by two Carmel artists will soon be displayed at the Statehouse, according to State Reps. Donna Schaibley (R-Carmel) and Jerry Torr (R-Carmel). 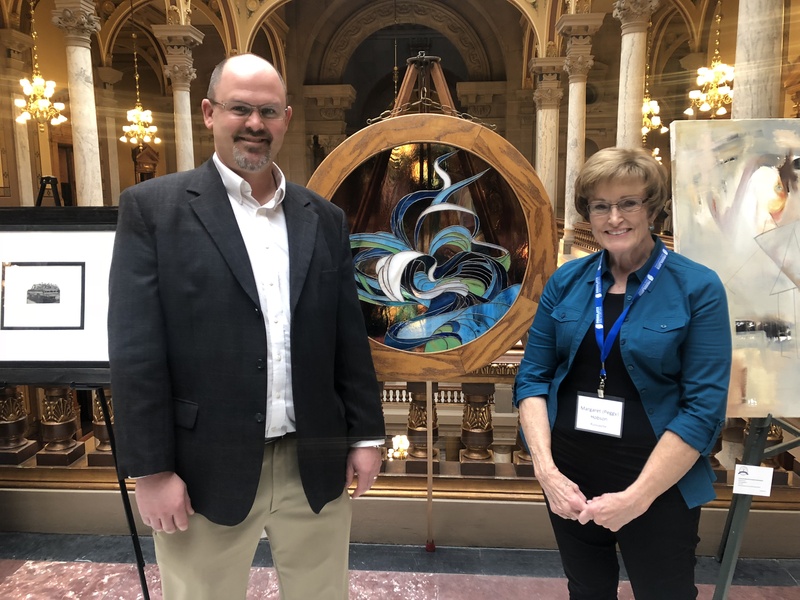 Jody Bruns and Aren Straiger were selected to have their artwork decorate the Statehouse as part of Lt. Gov. Suzanne Crouch’s Hoosier Women Artists initiative. 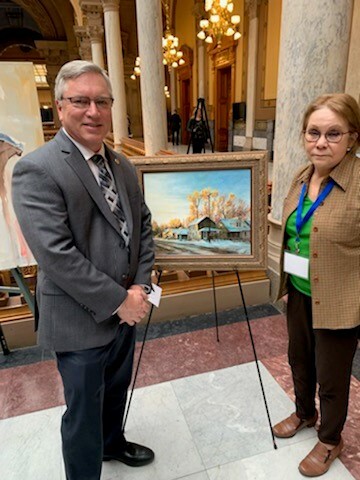 STATEHOUSE (March 21, 2019) – Artwork by a local artist will soon be displayed at the Statehouse, according to State Rep. Heath VanNatter (R-Kokomo). 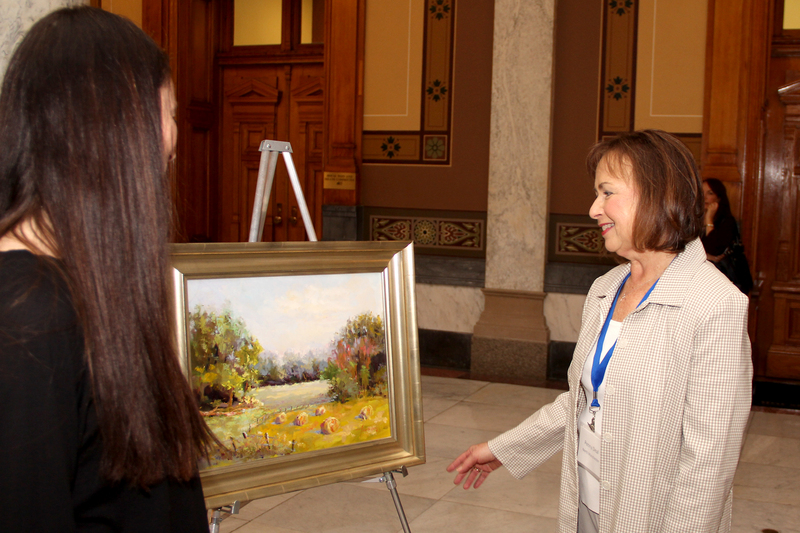 Peggy Hobson of Russiaville was selected to have her artwork decorate the Statehouse as part of Lt. Gov. Suzanne Crouch’s Hoosier Women Artists initiative. Hobson is the only Howard County artist represented this year. STATEHOUSE (March 21, 2019) – Artwork by a local artist will soon be displayed at the Statehouse, according to State Rep. Dale DeVon (R-Granger). 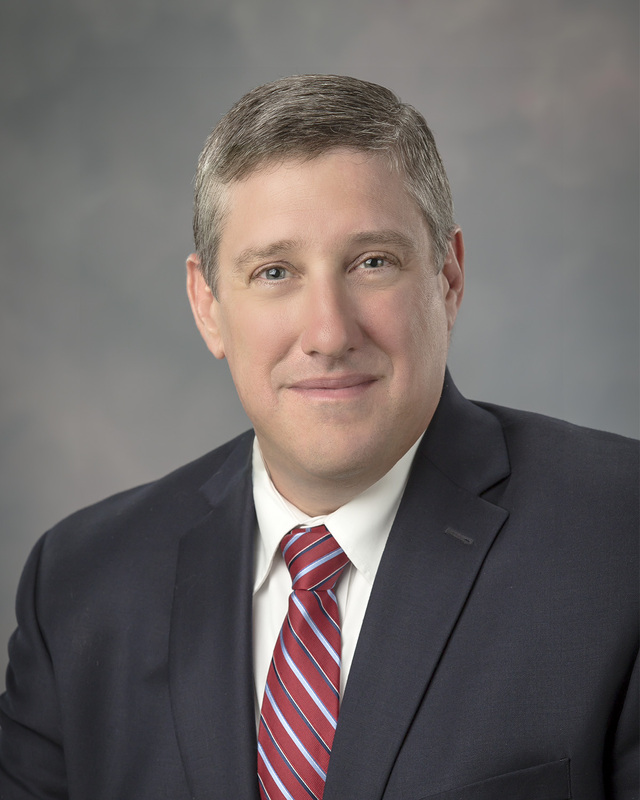 STATEHOUSE (March 21, 2019) – Legislation authored by State Rep. Denny Zent (R-Angola) and sponsored by State Sen. Sue Glick (R-LaGrange) that would provide essential care to children with disabilities from military families could soon become law. 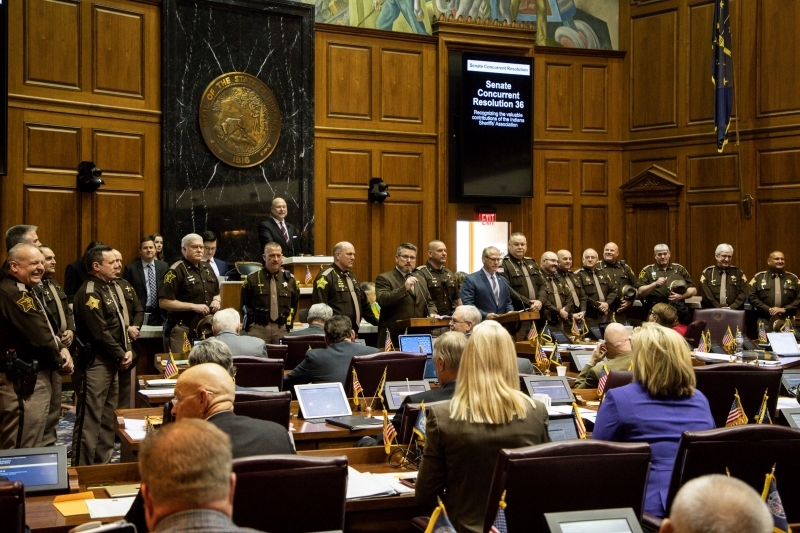 STATEHOUSE (March 20, 2019) — State Rep. Kevin Mahan (R-Hartford City) recently honored members of the Indiana Sheriff’s Association at the Statehouse. STATEHOUSE (March 20, 2019) – The Indiana Senate voted in favor of legislation authored by State Rep. Wendy McNamara (R-Evansville) to improve efficiency in Vanderburgh County courts.